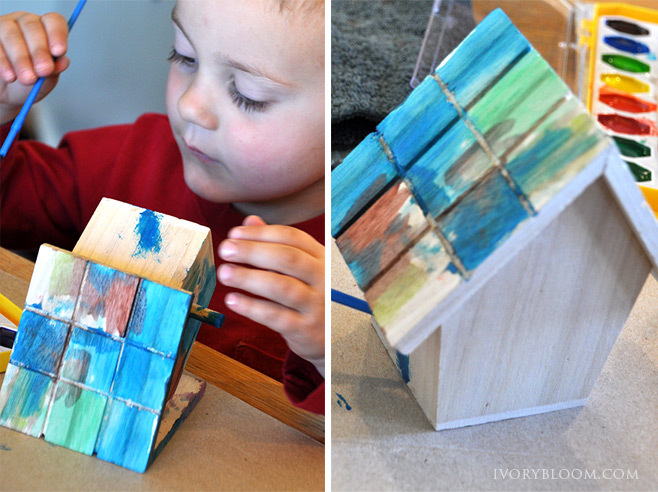 Looking for a project to keep your kids busy? This is a fun and easy one! 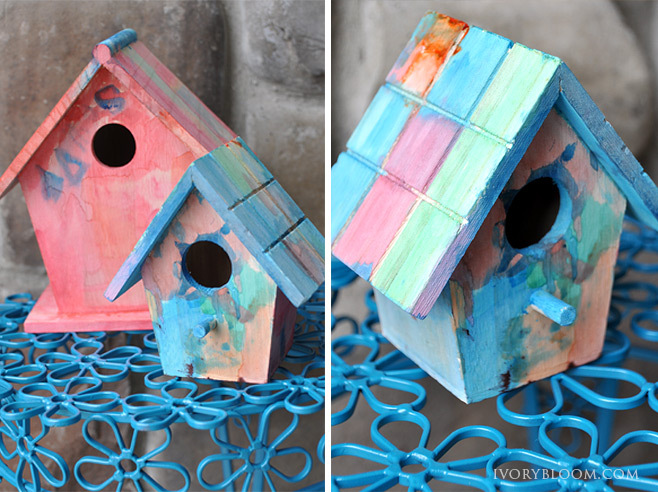 I got the wood birdhouses at Wal Mart. 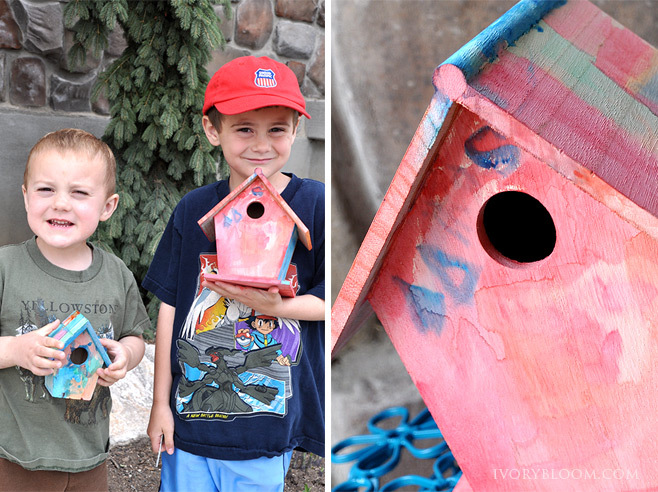 Pull out your watercolor paints and put a piece of cardboard under each birdhouse. I like to use old cereal boxes. Just open them up and set them on the table. Then all the spills won't go all over the place. Just plan on spills so when it happens you're not surprised or upset... you just expect it... it's just part of the process! Use an old jar for water (don't fill it to the top or you'll have more water to mop up) and have a paper towel or old washcloth handy to wipe the brushes off and to clean up the spills. 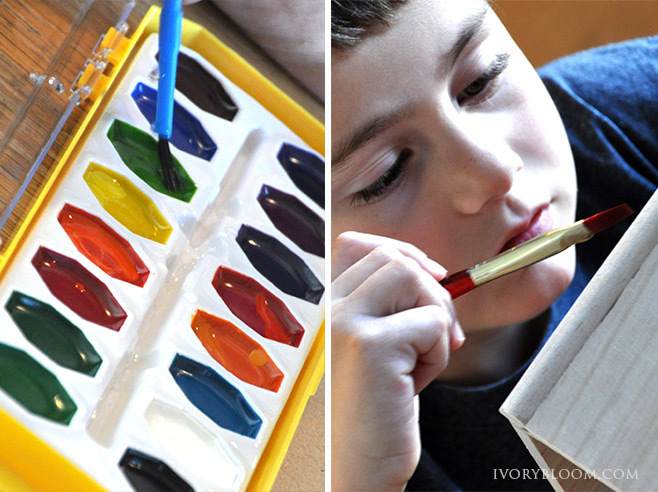 Encourage your kids to use their creativity in any way they'd like. If they see you excited about the project, they'll be more engaged. 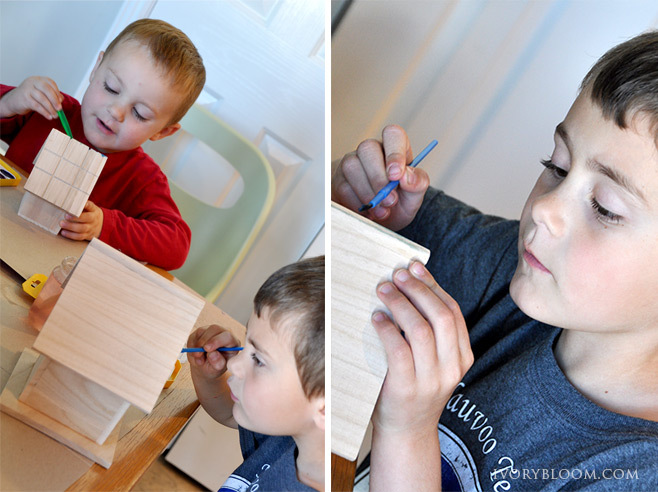 My 6 yr. old finished his birdhouse in one siting but my 4 yr. old needed a few breaks. Just keep the project out and when the kids want to paint again, they can just dive in.